ismartgate integrates with all major Smart Home eco-systems, so you can enjoy voice control and full home automation. ​Control your ismartgate using your voice with an iPhone, Apple Watch, Apple TV, HomePod, iPad or just about any Apple device. 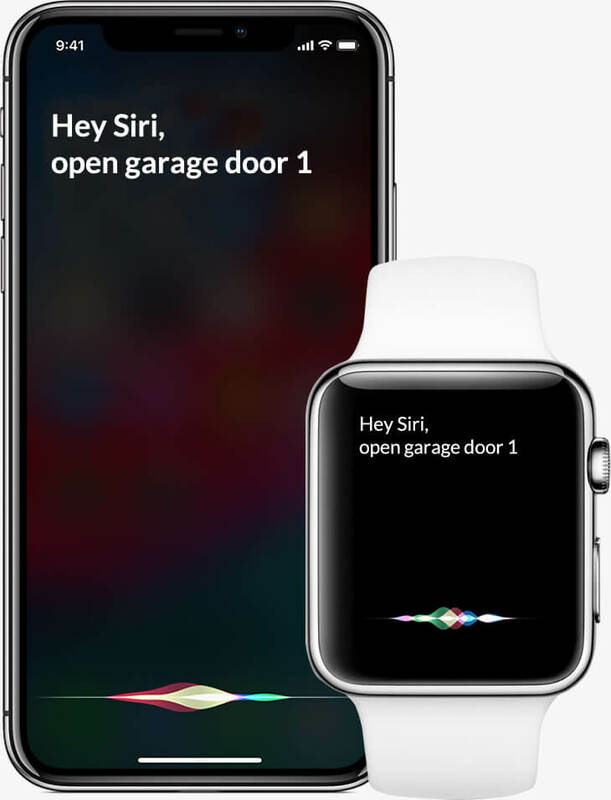 Open your garage door by simply saying “Hey Siri, open garage door” from your iPhone or any other Apple device. Ask any of your Apple devices to close your garage with this simple command “Hey Siri, close garage door”. Thanks to the ismartgate sensors you can ask Siri about the status of your door at anytime. ismartgate works with Google Home and Android devices so you can command your garage or gate with your voice. 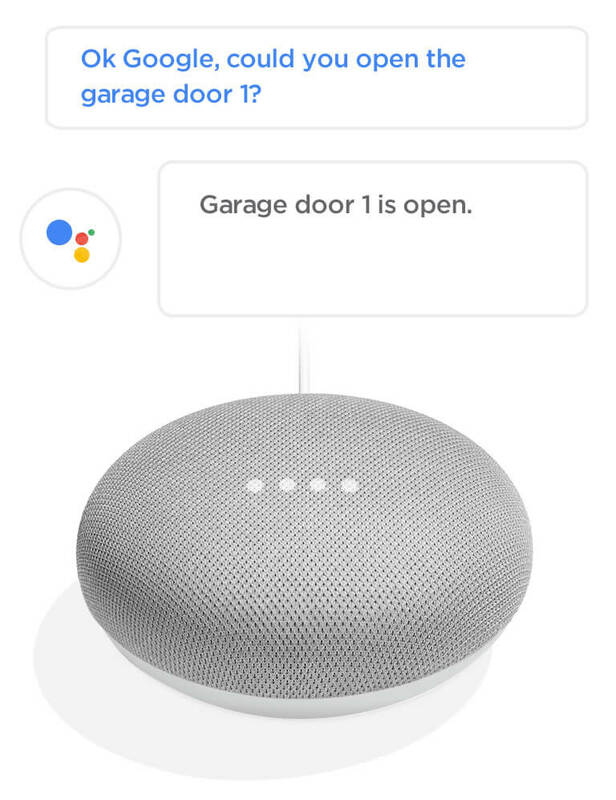 Use any Android device to close your garage door with Google Assistant by simply saying: “Ok Google, close my garage door”. Thanks to the ismartgate sensors you can ask Google Assistant about the status of your door at anytime. IFTTT WILL HELP YOU AUTOMATE ACTIONS WITH YOUR PHONE’S GPS AND TIME. IFTTT (If This Than That) lets you easily connect your ismartgate to different connected devices and services for full home automation. Create multiple recipes all from one app. For FREE. 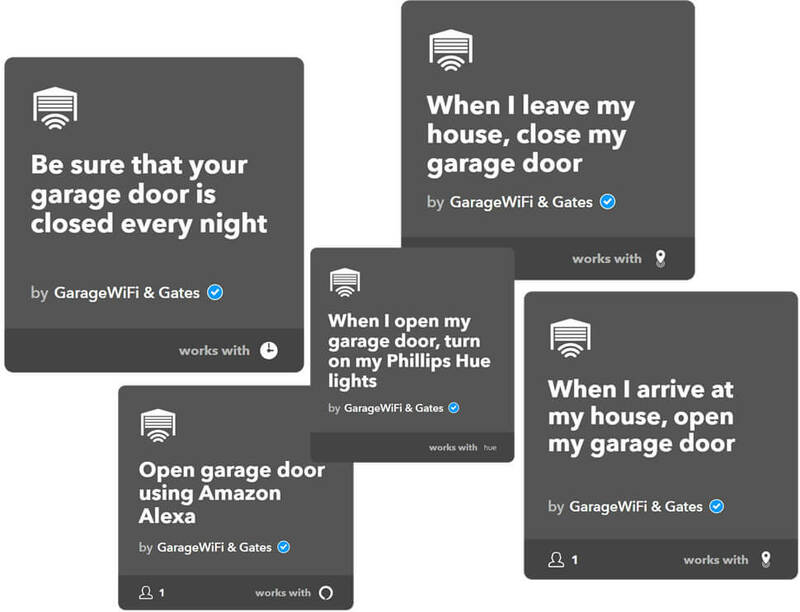 With iFTTT you can connect your ismartgate with Amazon Alexa enabled devices to enjoy features such as voice commands.